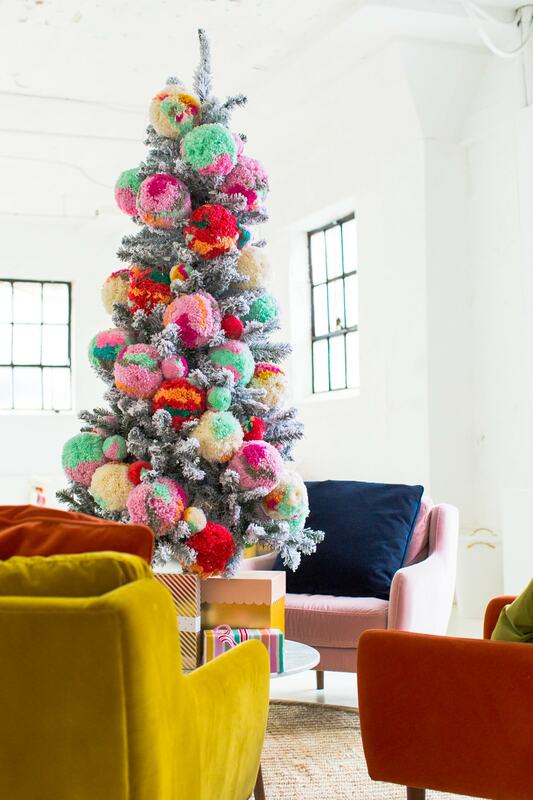 Our Studio Seating Area + How We Decorated for Christmas! 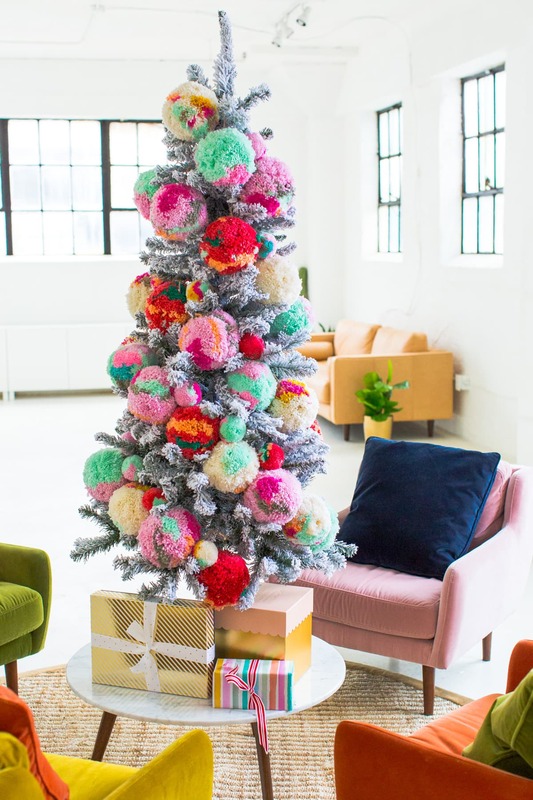 Between Christmas decor, massive pom pom ornaments, and our new studio seating area so I couldn’t resist sharing a little peek of how we decorated for Christmas at the Sugar & Cloth studio! 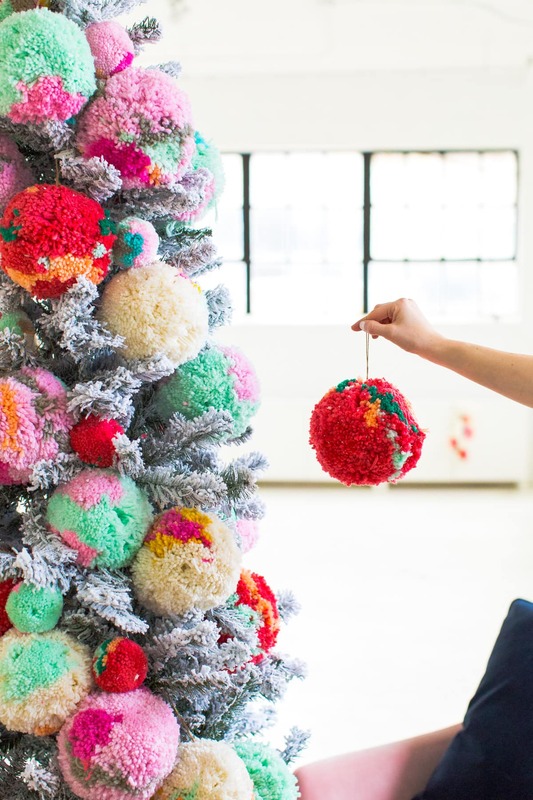 First off, how DARLING are these jumbo pom poms? I saw them on a tree at Favor The Kind when Brittni was in town a few weeks ago and my heart melted. I had to have them! 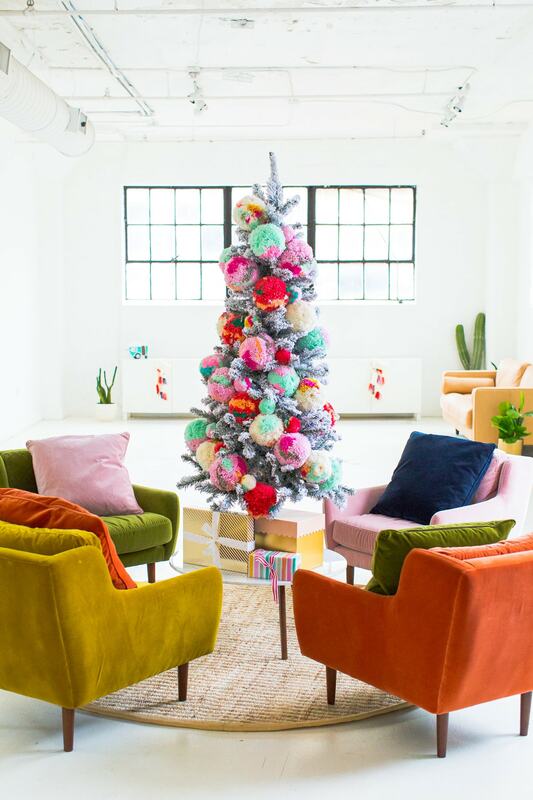 Much like everything in life, I couldn’t resist one of every color when it came to these velvet chairs and velvet pillow sets. 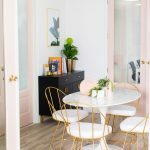 If you haven’t heard of Article before, it’s a great place for buying high-quality furniture online that isn’t outrageously priced. Our leather sofa that you see in photos all of the time is from there as well! Let’s just say a quick amen for being able to upgrade to in-room delivery and assembly because these babies are NOT light. I’m also VERY proud to say that I have all of my Christmas shopping done and those are in fact real presents under the tree instead of fake ones for styling. This is a real monumental moment for me, guys. There’s nothing quite like the looming feeling of a baby on the way to make you get stuff done in advance, haha! 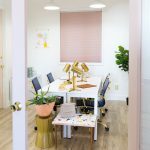 Sugar & Cloth Studio Renovation Update! 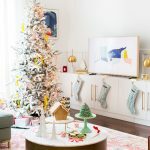 How We Decorated our Home for Christmas! 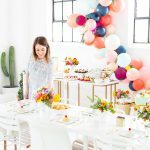 The Spring Bridal Shower we Hosted! Those giant pompoms OMG!!!! I’m done shopping too! Yay! Also kind of boo because I love buying presents for people! 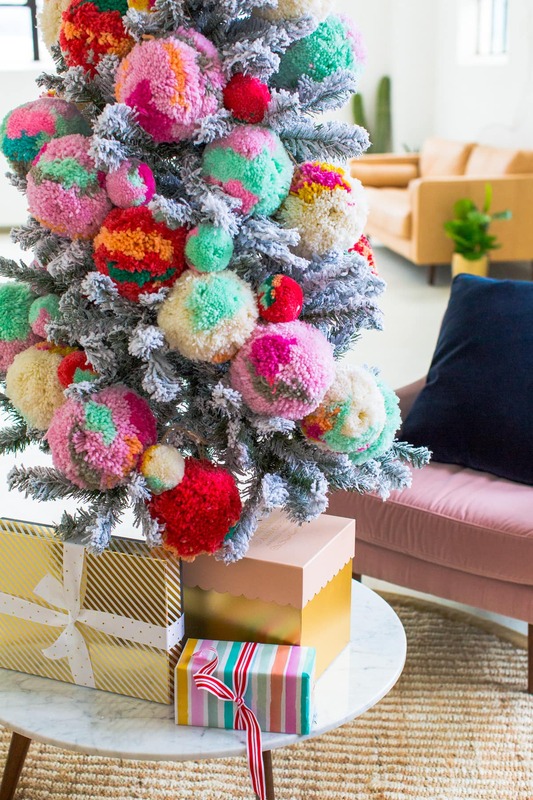 Those pompoms! Any chance you would give a quick how to on that giant size?! LOVE THEM! WAIT. “A baby on the way”?? Did I miss something??? 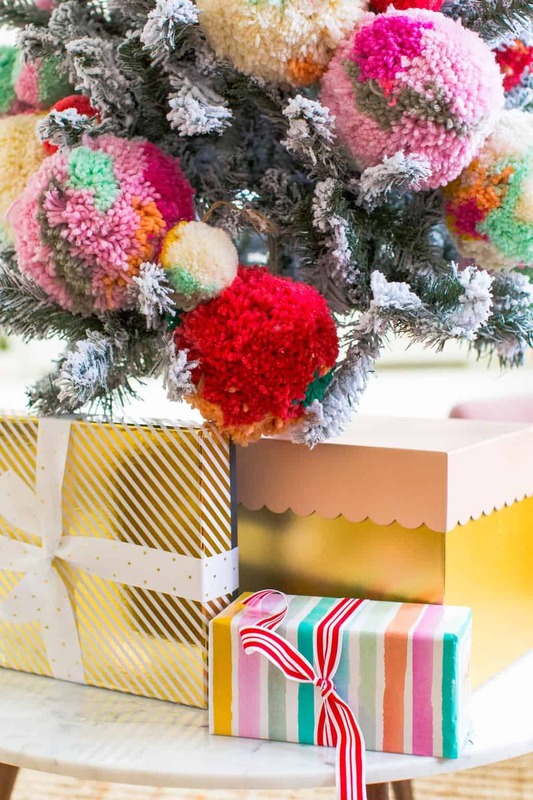 I love how you decorate the tree with pompom so much!! Love it! Wow! 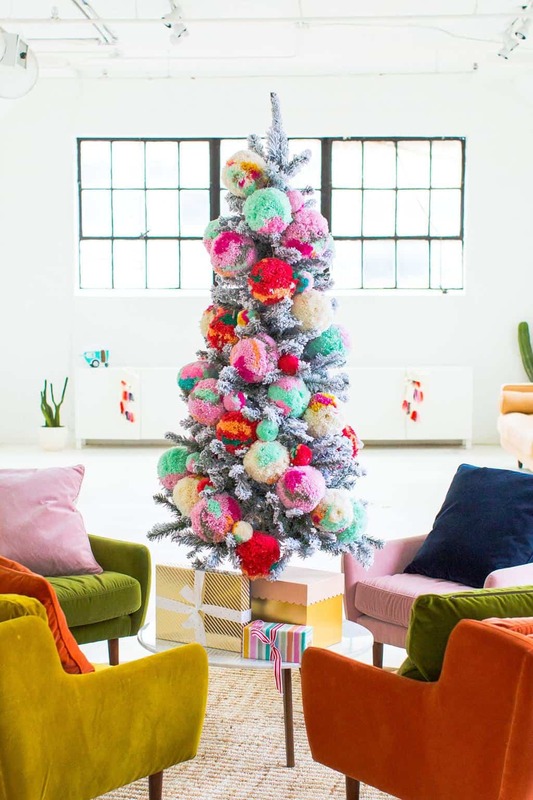 Such a epic Christmas tree you shared! This looks literally awesome in your post. Loved it. Thank you so much for sharing this post. great and pretty decoration !